On October 17, 2018, Paul Bernardo was denied day and full parole after a parole hearing at Millhaven Prison where he is housed in solitary confinement. Earlier this year he became eligible to apply for parole after serving 25 years in prison. Bernardo was arrested in 1993 and subsequently found guilty in the kidnapping, confinement, sexual assaults and murders of 14 year-old Leslie Mahaffy and 15-year-old Kristen French. The mothers of Leslie and Kristen told the hearing that time has not healed their wounds and a woman who was raped by Bernardo in the 1980's also provided a victim impact statement at the hearing. Bernardo was questioned for more than two hours and provided long, rambling and almost incomprehensible answers. On October 5, 2018, Paul Bernardo appeared in court to stand trial for a charge of possessing a weapon. In February, a homemade shank was reportedly found in his cell at Millhaven Penitentiary where he is serving a life sentence for murder. The trial did not proceed, instead the Crown withdrew the charge because there was no chance of conviction. After the charge was withdrawn, Bernardo's lawyer said the decision clears the way for his clients parole hearing on October 17. He said that Bernardo is looking forward to returning to the community and has the support of his loving parents. On October 1, 1995, the biggest terrorism trial in American history ended with guilty verdicts for a man known as the "Blind Sheik" and nine of his followers. An eight month trial had revealed that the group planned to wage a war of urban terrorism against the United States. Their overall goal was to force America to abandon support for Israel and Egypt. 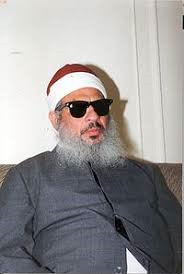 Led by Omar Abdel-Rahman, a blind Egyptian cleric, the group of militant muslims had planned to carry out a string of terrorist’s bombings and assassinations that culminated with a cataclysmic day of terror in New York City.